**Note: the measurements given below are for 1:24 scale. If you would like to make the table in 1:12, double the measurements (including the wood thicknesses). 1. Begin by cutting the table top from 2mm wood. 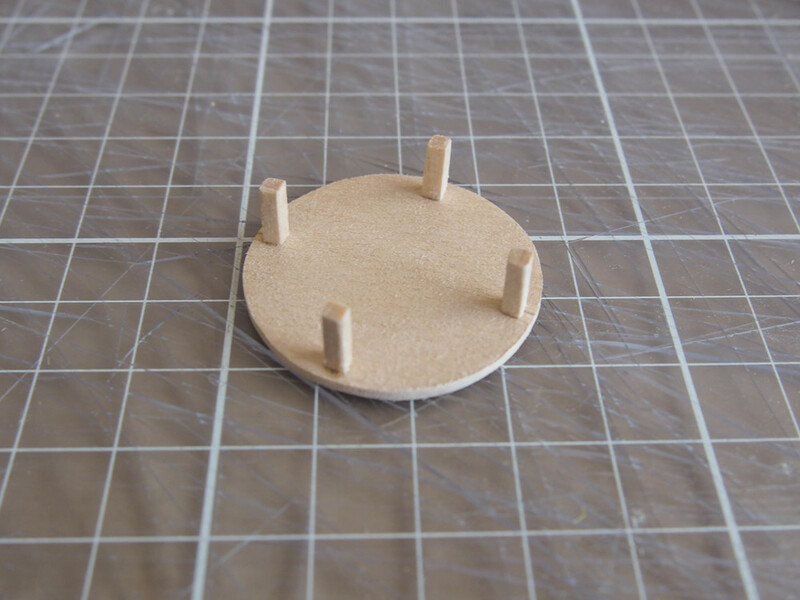 I chose a table diameter of 35mm. 2. 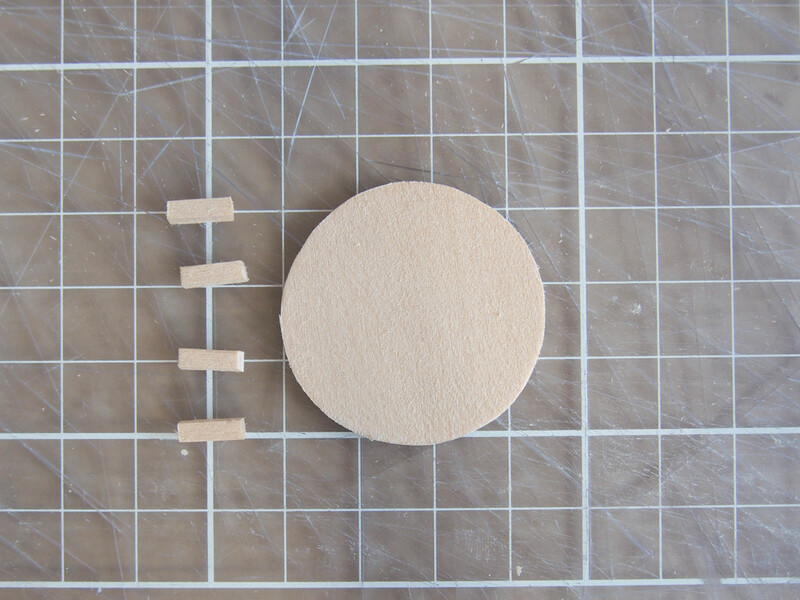 Then cut four small lengths of 3mm wood as shown above left to form the base sections of the legs. Glue these four pieces on at equal spacing as shown above right. 3. 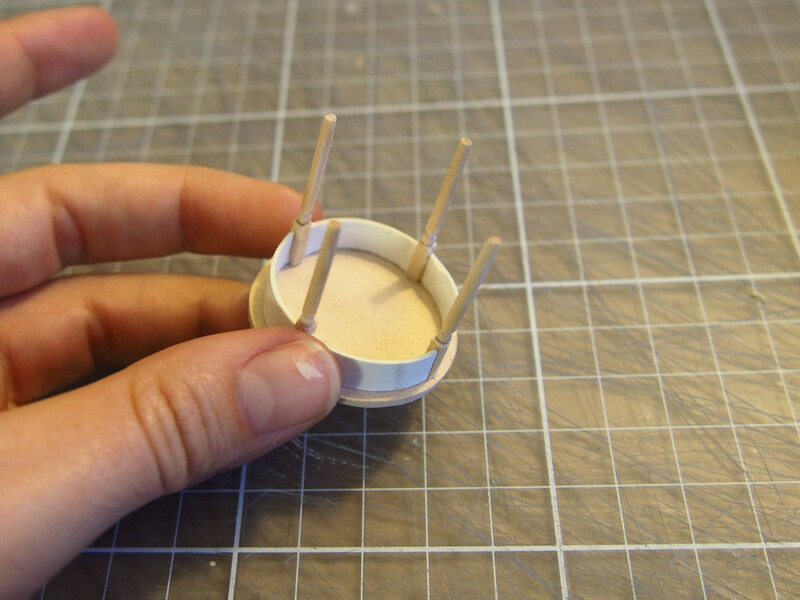 You must now cut a length of 1mm card at 5mm in width, which will form the skirt of of the table underside. 4. Slowly and carefully bend this card using a large round object such as a rolling pin. This will curve the card without bending or creasing it, giving a smooth curve. 5. 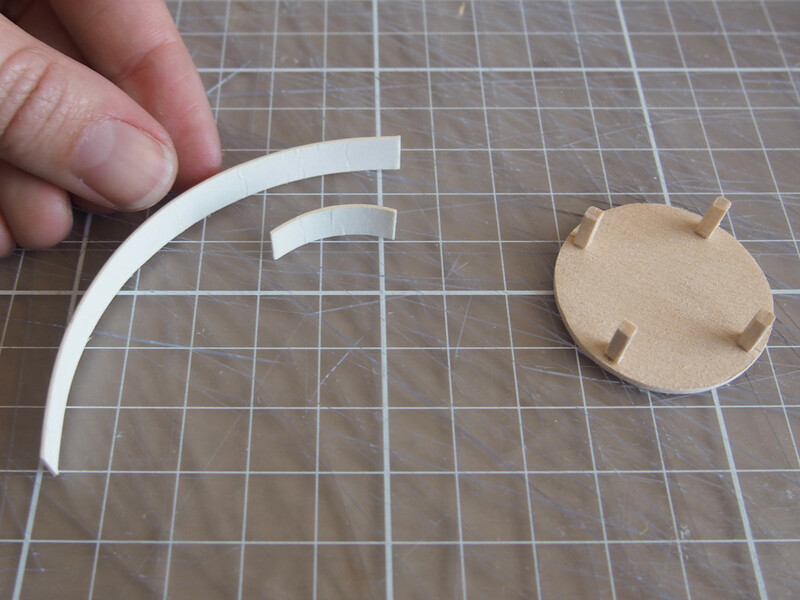 Cut the card length into four segments which will fit between the table legs and glue them in. 6. 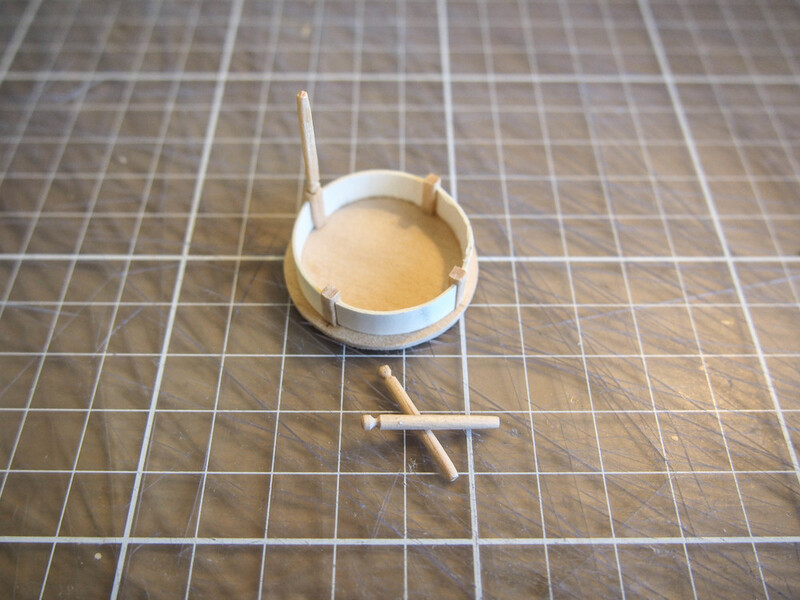 You must now shape the table legs and glue them onto the base leg sections. You can do this by either shaping match sticks or turning your own legs with a small lathe. 7. Paint the table and it is complete.